Through mediation or litigation, our divorce law firm fights for your rights to get the best possible settlement or judgement – including your fair share of assets, division of the marital home, child support payments and child custody rights. Divorce should not lead to financial crises. We help you obtain the spousal support you deserve, so you can continue to live as you did during the marriage. Parents share the responsibility of raising their child. At the Law Office of Kathleen M. Hagerty, we advocate for a fair division of financial support between the parents so that the child can have a healthy, happy upbringing. Contact an experienced Warwick family law attorney. 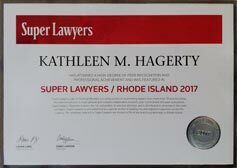 Attorney Kathleen M. Hagerty in Warwick has more than 20 years of legal experience in all family law matters. 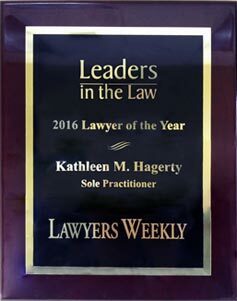 Contact Attorney Hagerty at 401-781-7200 or contact us online to schedule your free initial consultation.